This website is Wallonia's international portal. Editorial managers: Jacques JADOUL, AWEX's Communication and information director and Marie LEDRU, AWEX's Communications manager. Use of this website is subject to compliance with the conditions described below. By accessing this website, you acknowledge that you are aware of and unreservedly accept these general conditions of use. Information contained on this site is provided for information purposes only. Wallonia.be does its best to present information on its website that is up-to-date. However, Wallonia.be makes no declaration nor gives any guarantee or commitment concerning the accuracy, timeliness or completeness of the information provided. Although Wallonia.be ensures that all information presented on this website is up-to-date and accurate, errors may appear. This Website is not necessarily updated every day and some information may have become out of date since its initial publication. Before undertaking any action based on information found on this website, you must check anything that plays a decisive role in your decision with another source. 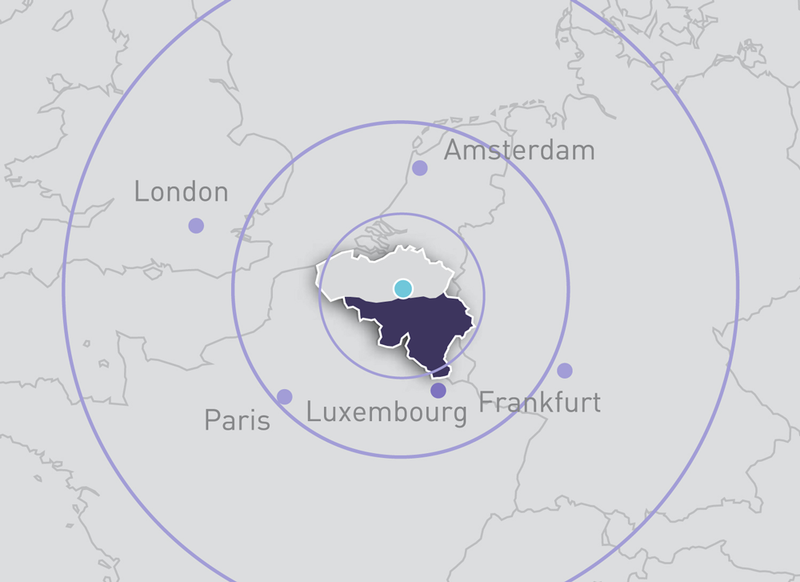 As a matter of convenience, this website may supply links or references to other sites not controlled by Wallonia.be. Wallonia.be accepts no responsibility in the event of errors, inaccuracies or omissions or any other circumstance not defined herein, affecting information provided on this website or information contained in hypertext links present on the site and directing users to other Internet sites. Under no circumstances can Wallonia.be be held liable for any direct or indirect harm that may occur due to the use of, or impossibility of using, this site and more generally from any event that is connected with the site. Use of the website confers no intellectual property right on the user with regard to its content. Thus, all text, photos, videos, data, posters, logos, trademarks and other items reproduced on the site are reserved and protected by trademark legislation and/or copyright and/or by any other provision in force applicable with regard to intellectual property. The fact that this website is freely accessible does not mean that Wallonia.be renounces its rights or the rights of third-parties to the content shown on this site. Content available on this website is the property of Wallonia.be or its licensors and is protected by copyright and other intellectual property rights. In this respect, only use for private purposes is permitted. Our visitors are authorised to display and print information obtained from this website in the context of personal use. You can also freely encourage other people to access the information available on this website themselves and tell them how to find it. For any other use, you must obtain Wallonia.be's prior written agreement. None of the content on this website may be copied, reproduced, distributed, republished, downloaded, displayed, posted online or transmitted in any form and in any manner whatsoever, including and especially in electronic form, mechanical photocopying, recording or otherwise, without the prior written permission of Wallonia.be or the third-party owner of the content. Unauthorised use of the content of this website may constitute violation of laws relating to copyright, regulations relating to confidentiality and advertising, and laws and regulations governing communications as well as any other national and local laws. Processing of personal data relating to this website is subject to Belgian law (Law of 08 December 1992 relating to the protection of privacy in respect of the processing of personal data, amended by the law of 11 December 1998 transposing European Parliament and Council directive 95/46/EC of 24 October 1995 relating to the protection of individuals in respect of the processing of personal data and the free circulation of this data). This data is data you have voluntarily provided when responding to questionnaires or requesting information. No personal information about you is transferred to third-parties or used for purposes not specified by the legal provisions that apply on the subject.